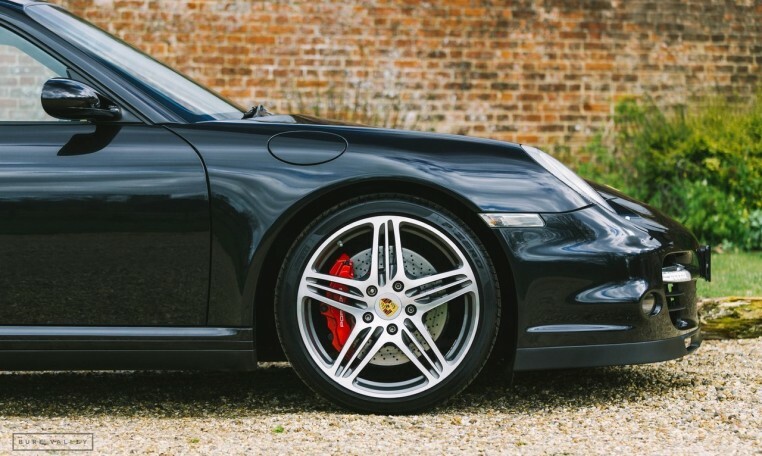 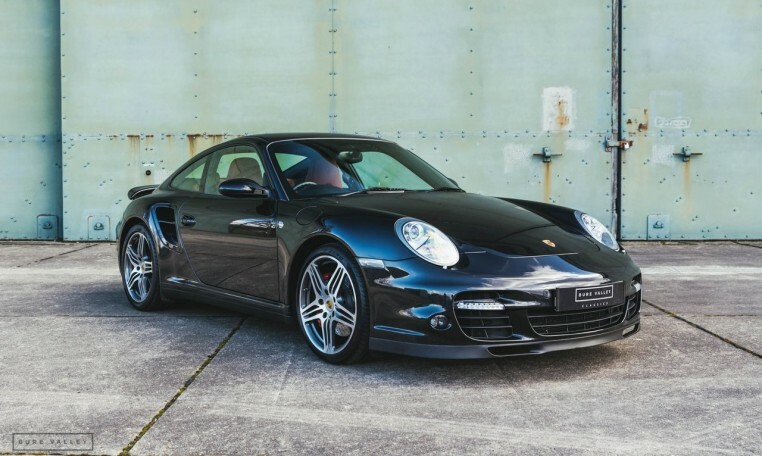 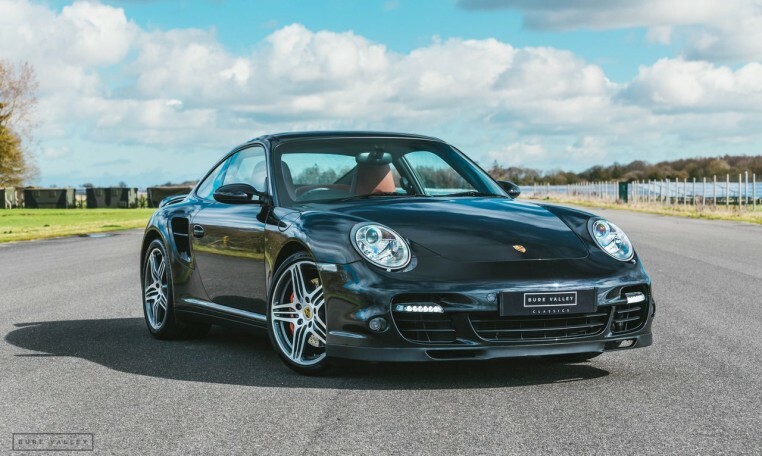 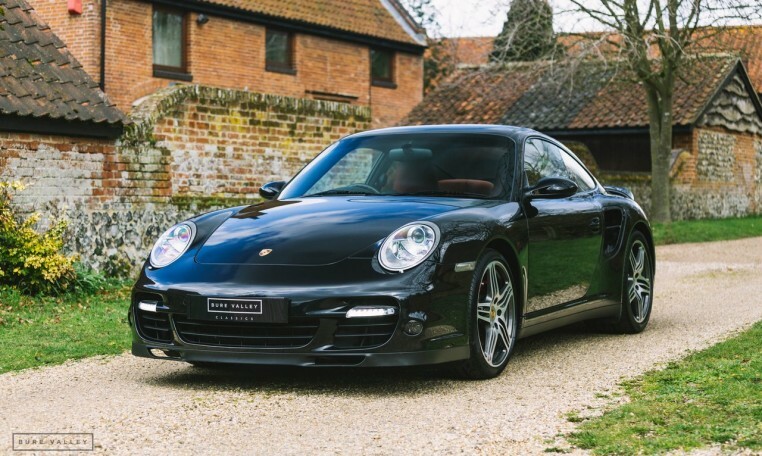 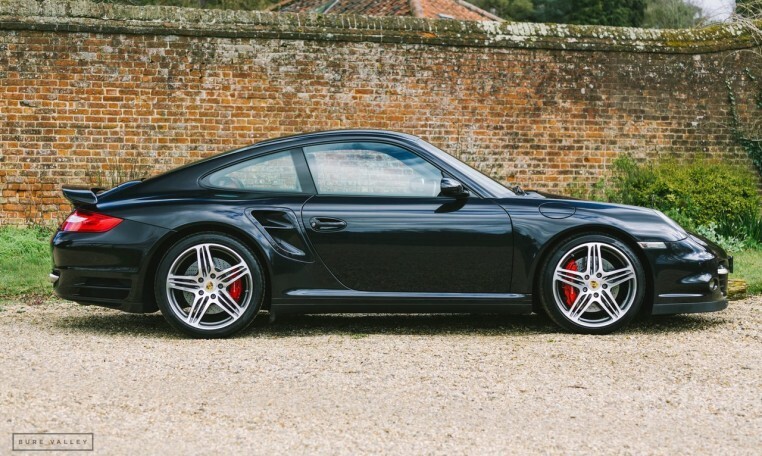 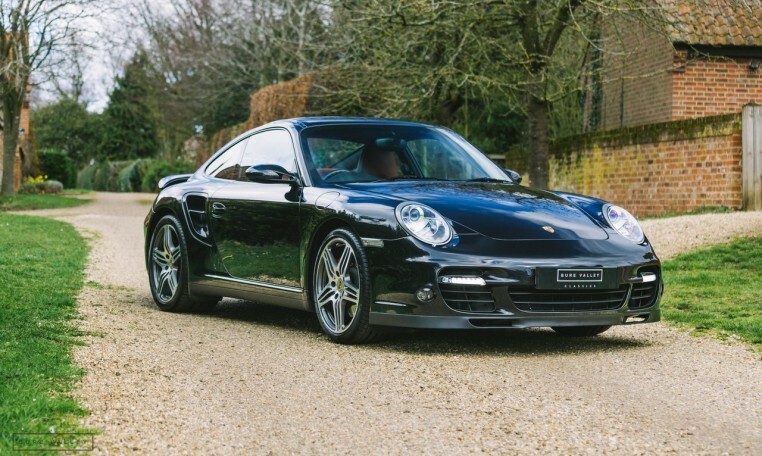 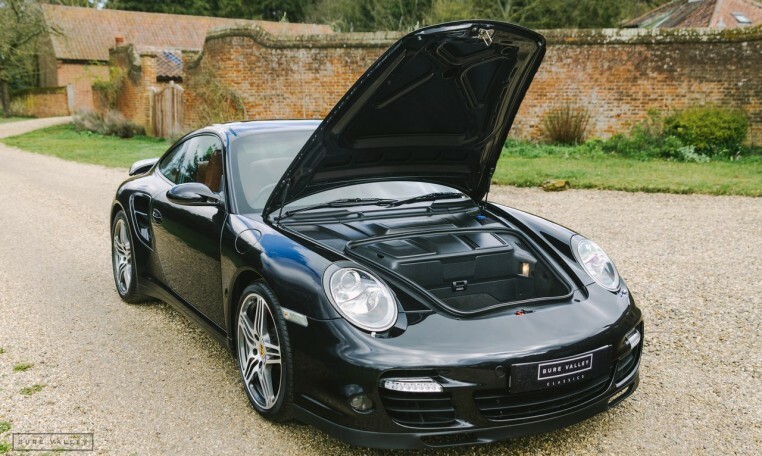 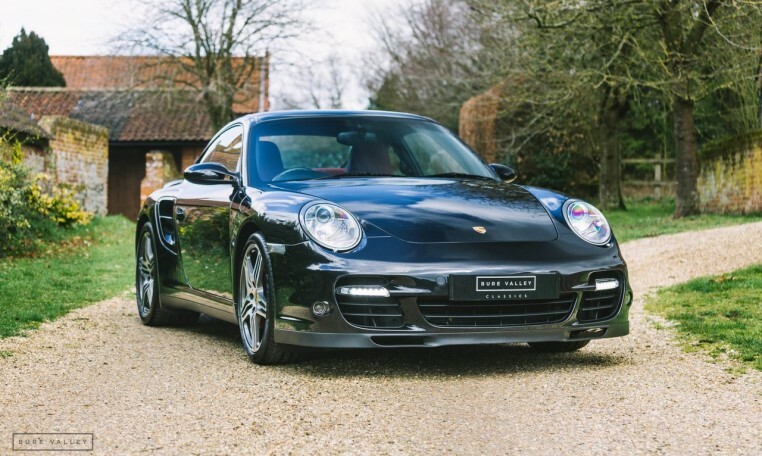 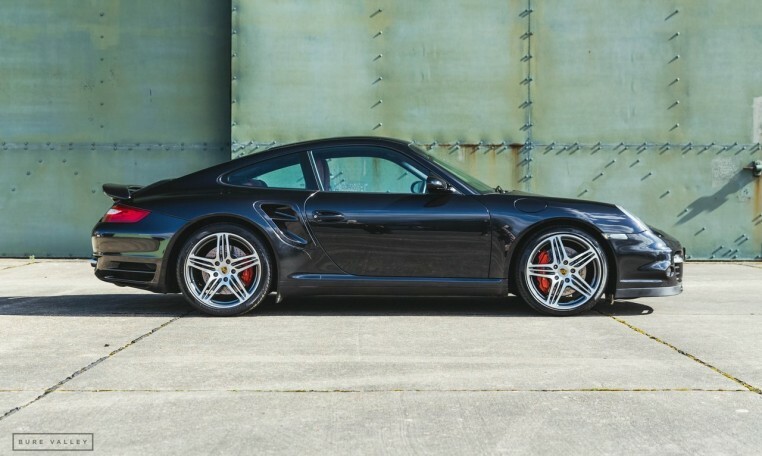 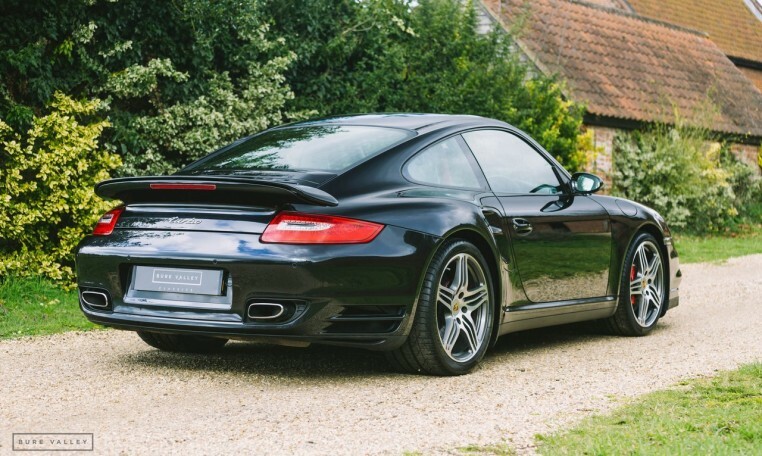 A superb, very low mileage example of the iconic 997 Turbo. 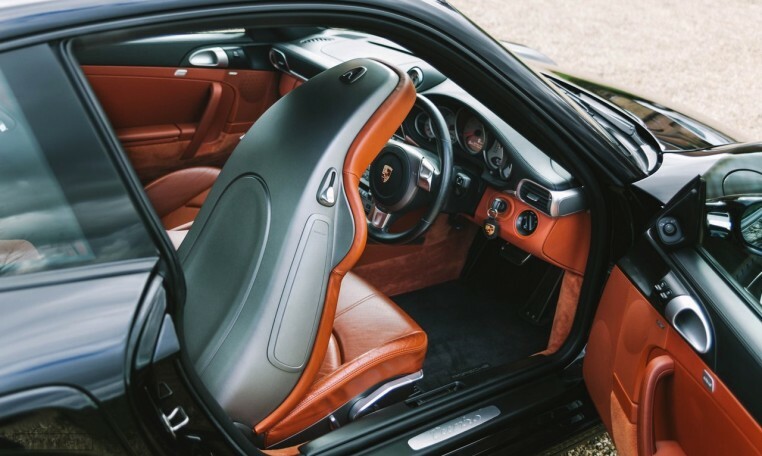 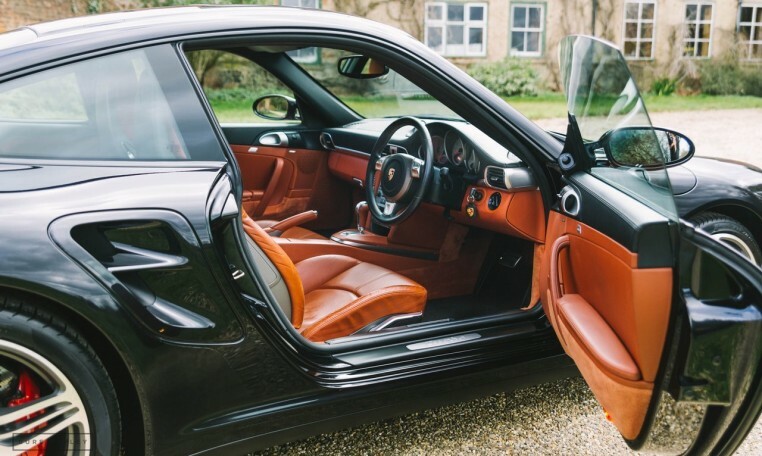 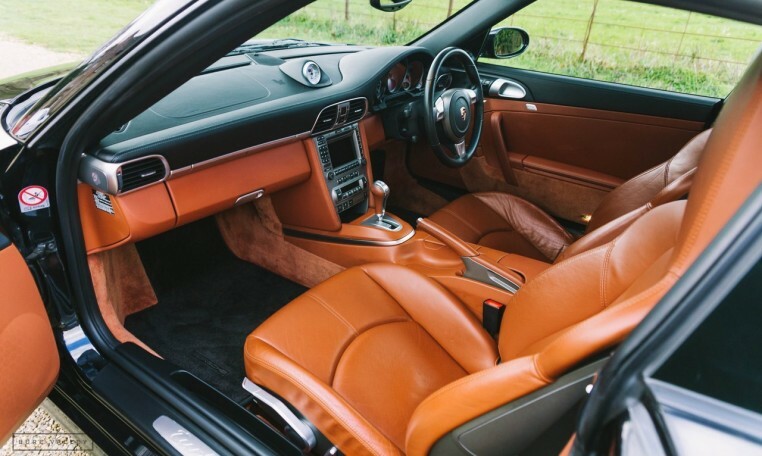 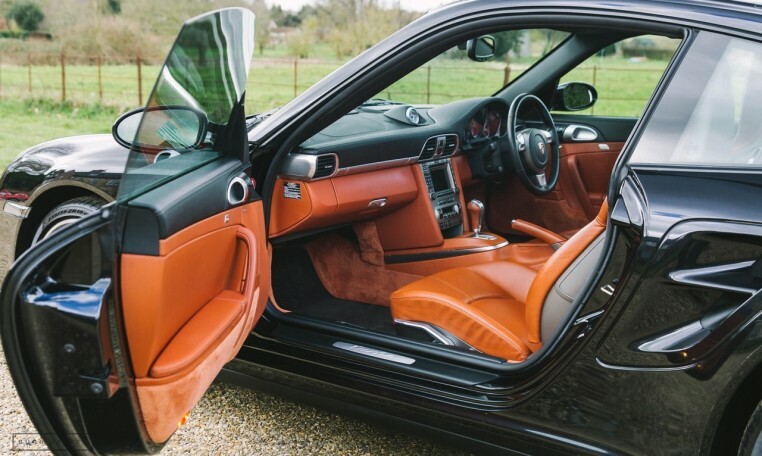 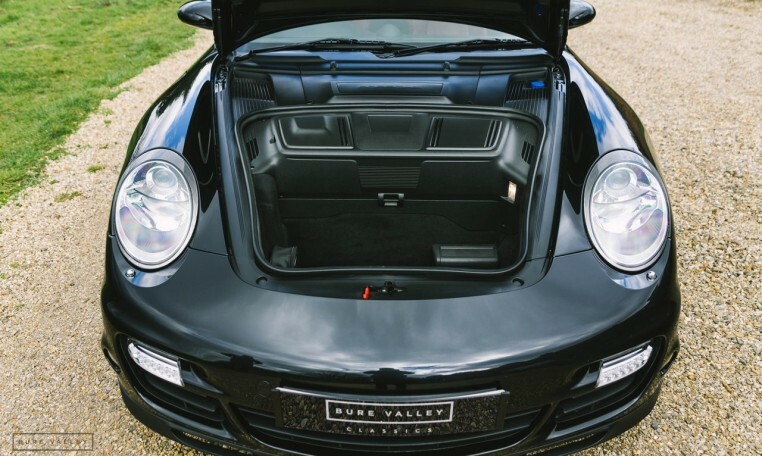 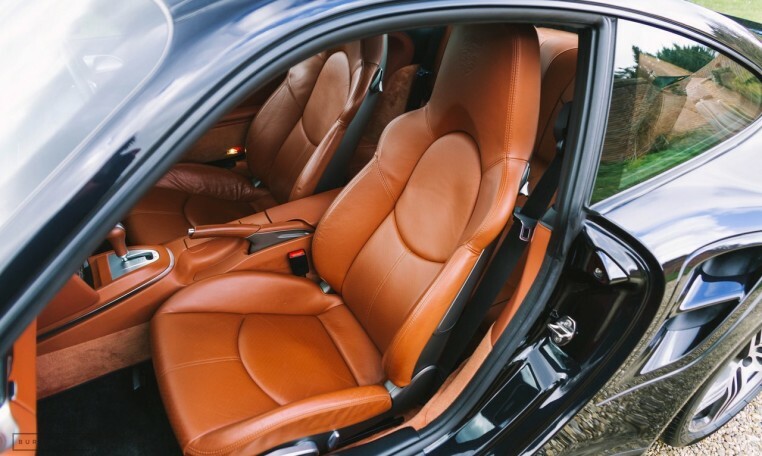 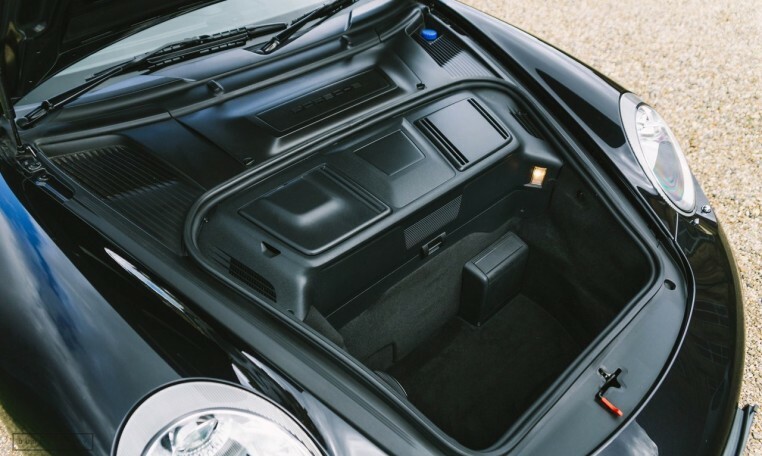 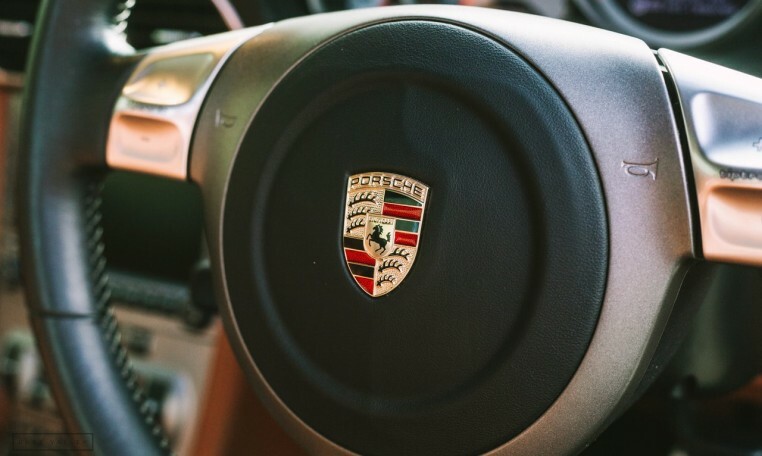 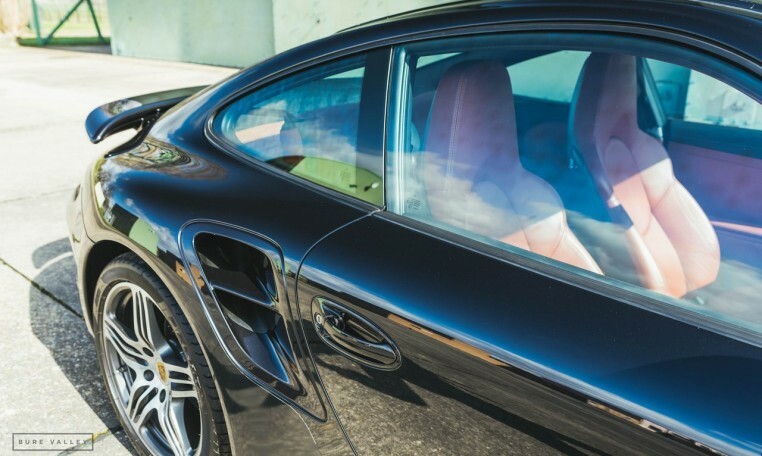 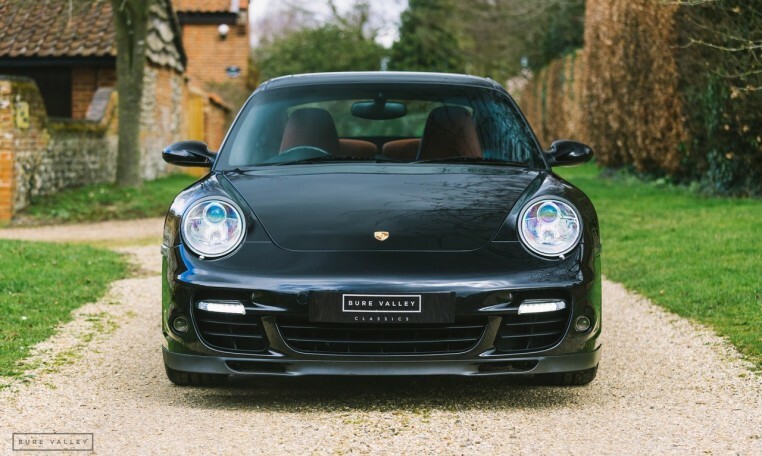 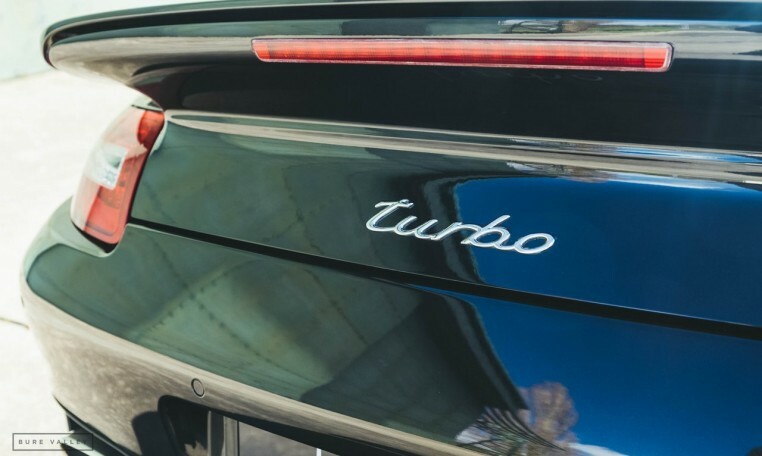 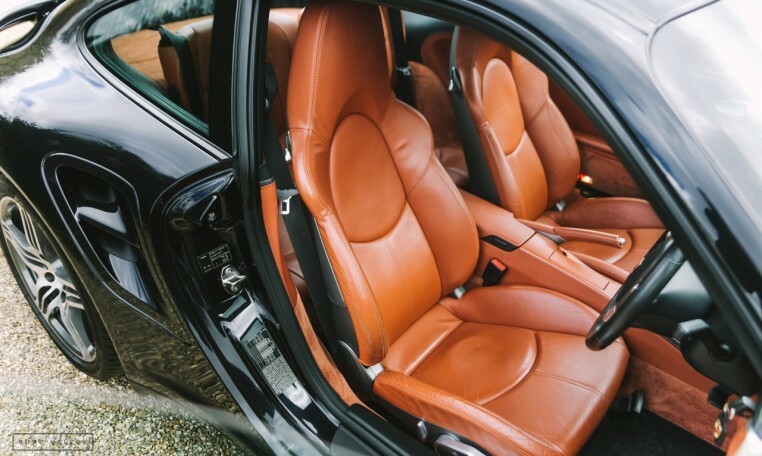 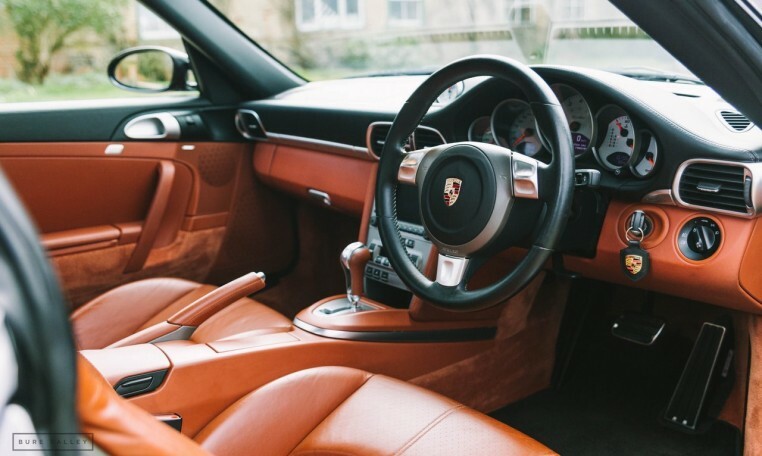 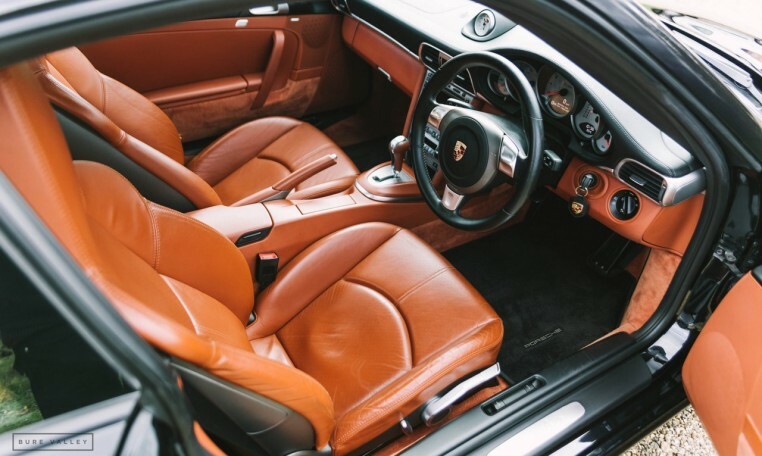 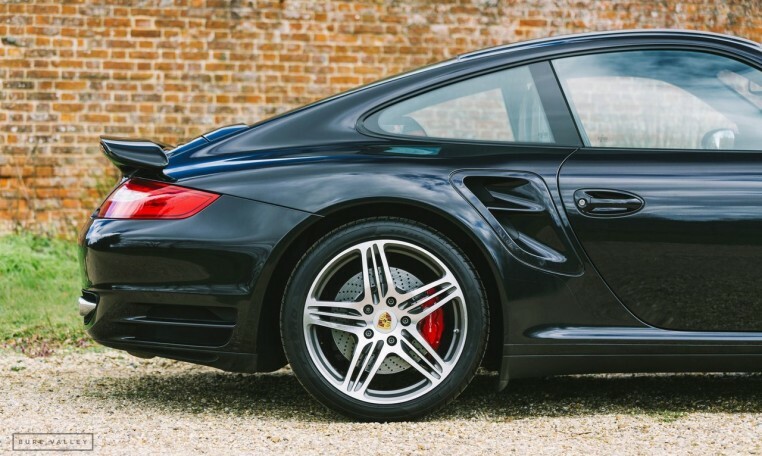 Presented in Basalt Black paint and full leather interior in Terracotta with Porsche crests in the headrests. 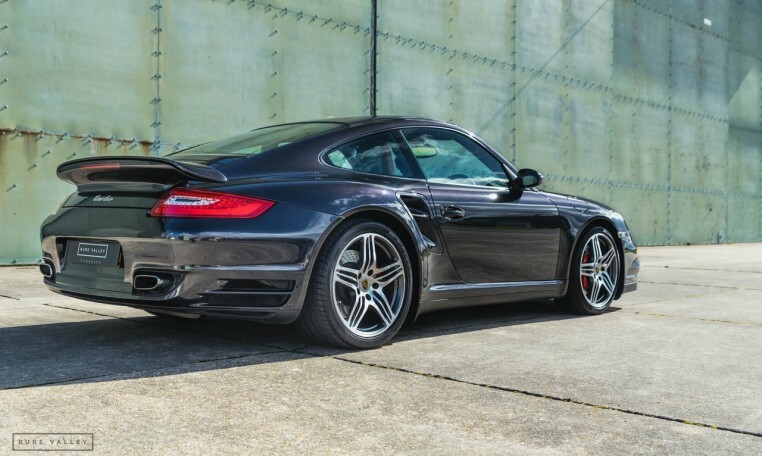 This car is immaculate in every way and offers blistering performance, pushing 470 bhp, 0-60 in 3.8 seconds and a top speed of 193mph. 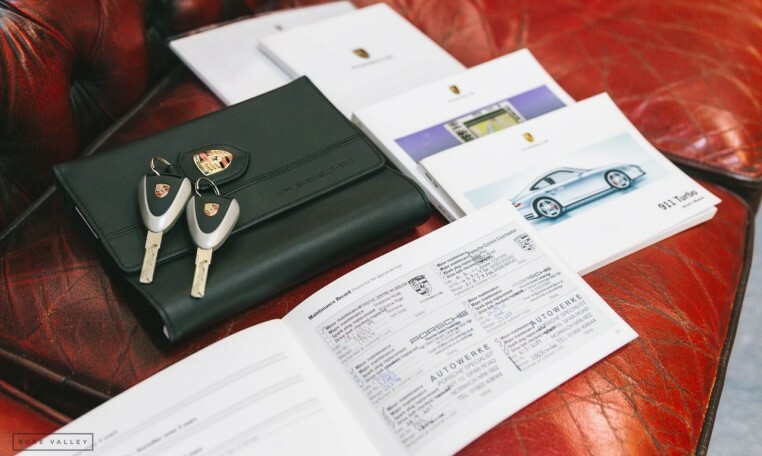 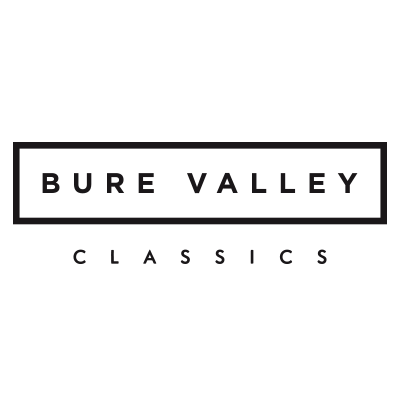 The car is complete with comprehensive service history, all original paperwork, drivers manuals and two keys. 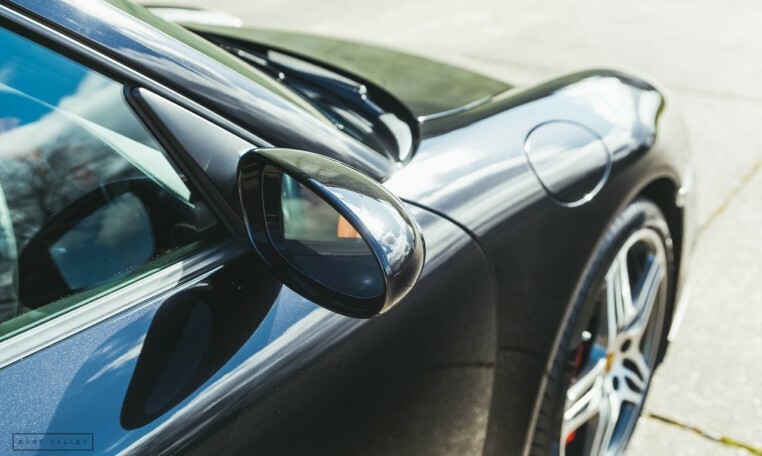 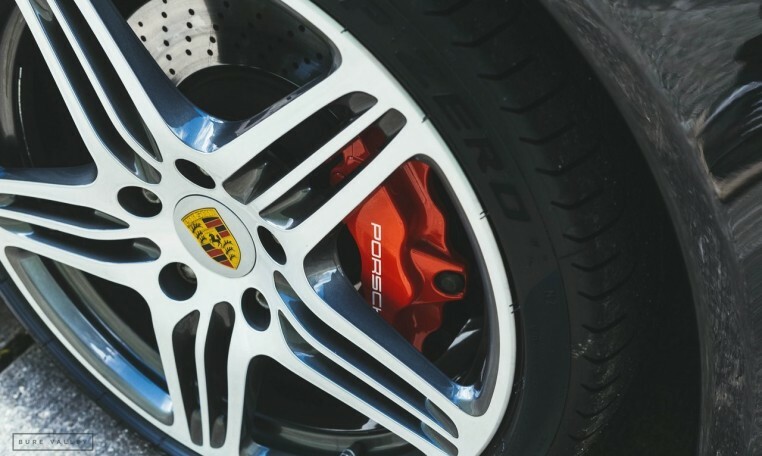 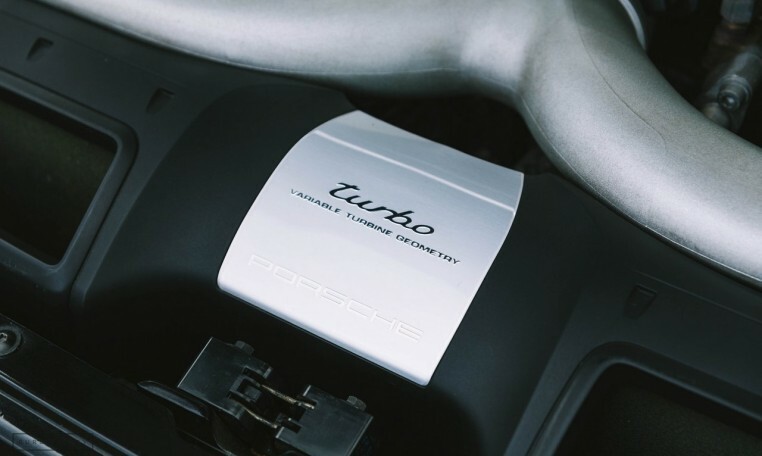 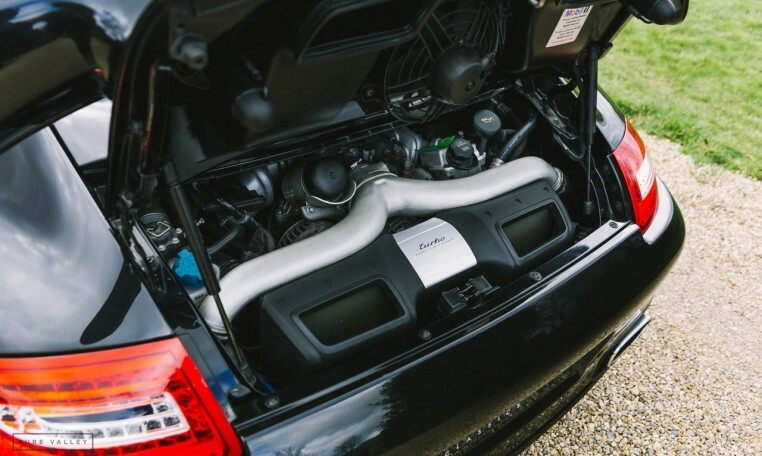 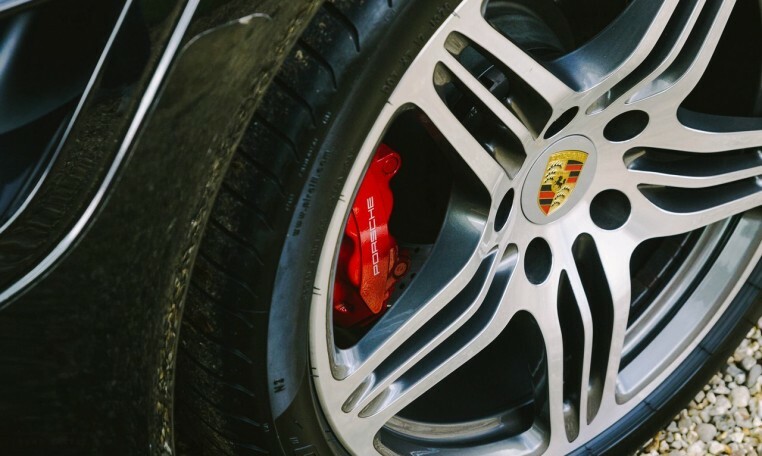 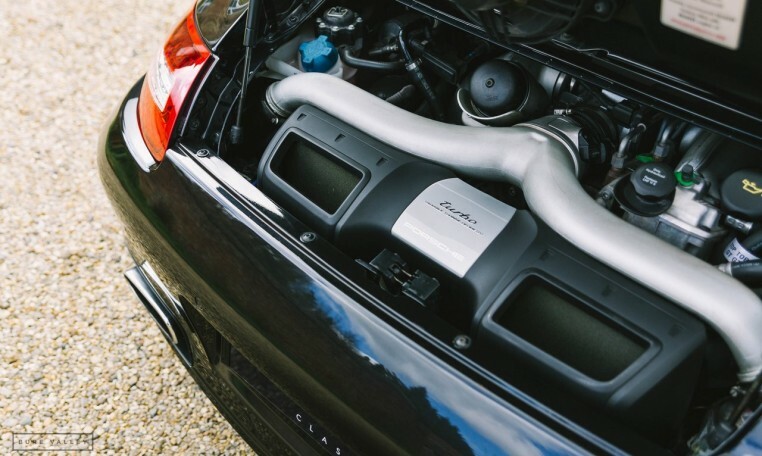 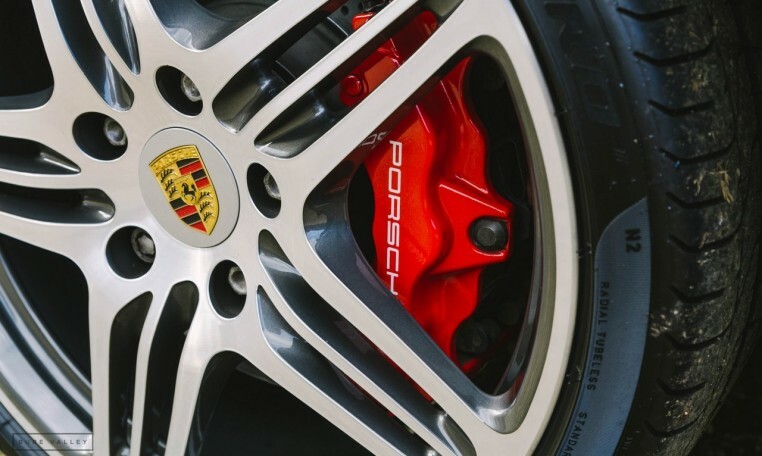 A major service has just been carried out by Local Porsche specialists Autowerke. 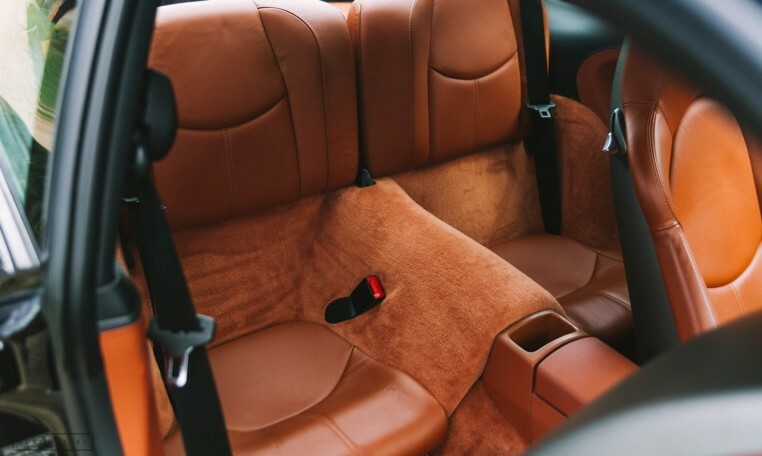 This particular car has been owned by Matt Baxter of Autowerke for the past two years, so it’s safe to say it’s been very well cared for. 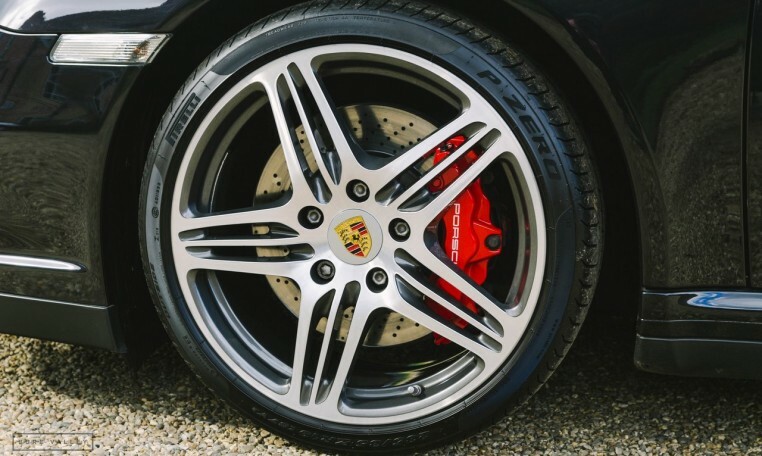 The 19″ wheels are in great condition and the Pirelli P Zero tyres are almost new. 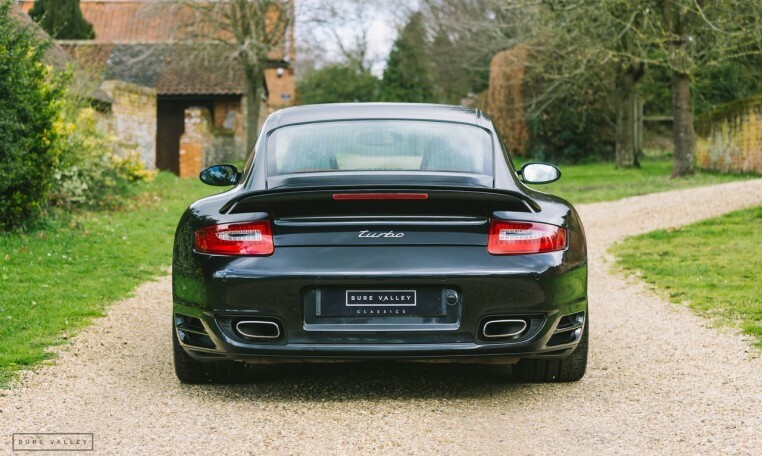 The car drives faultlessly and everything is working as it should. 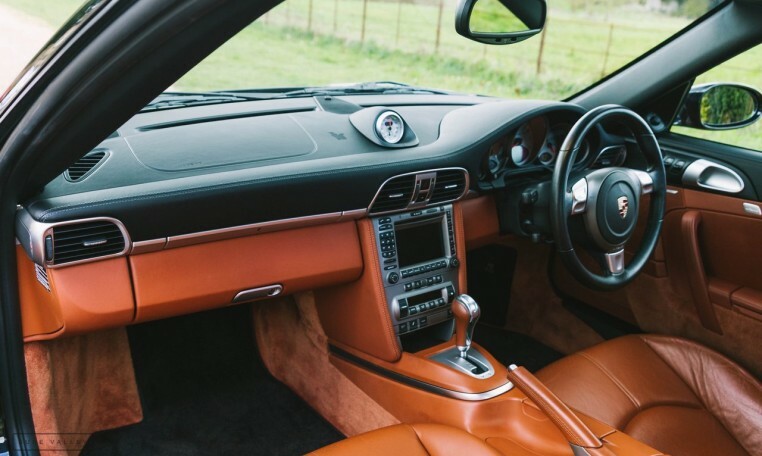 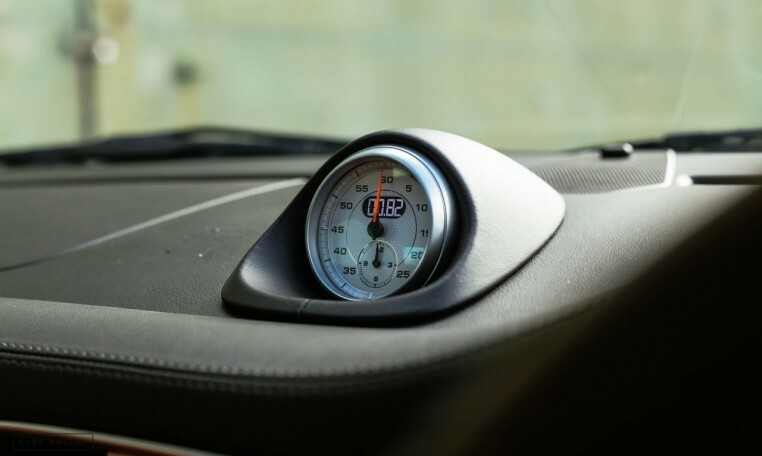 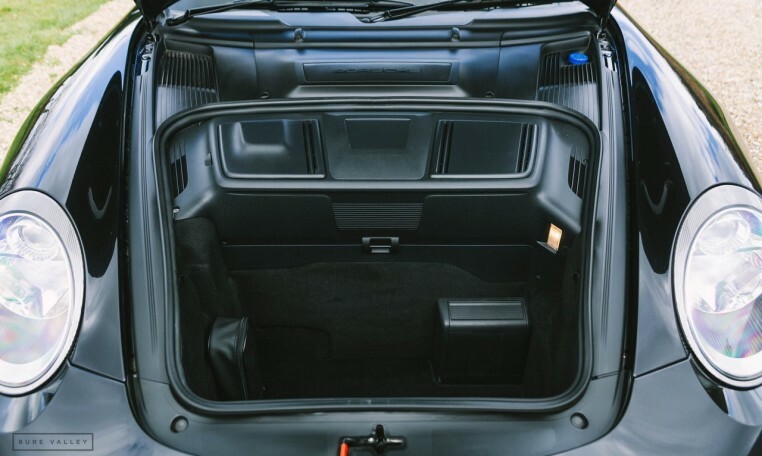 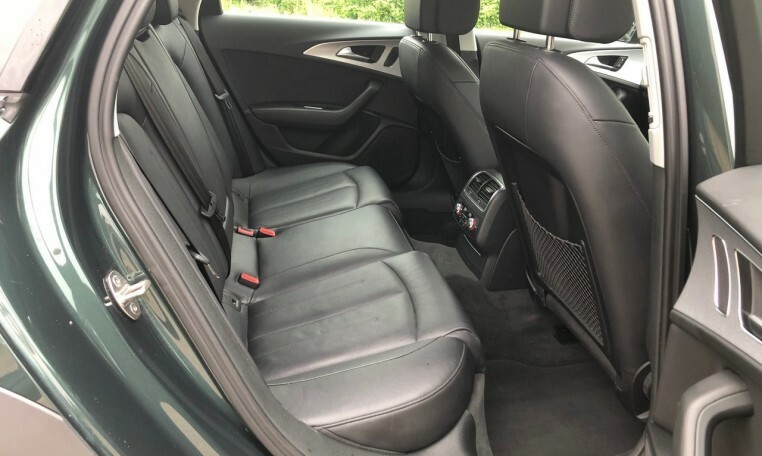 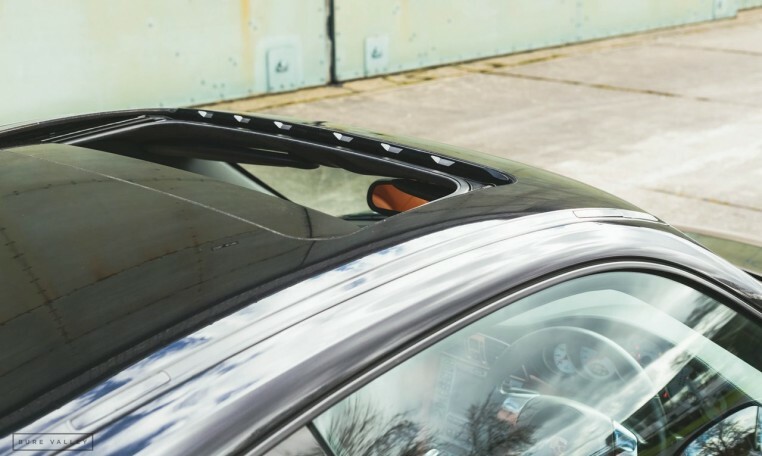 The car has also been fitted with a Dension, enabling bluetooth music and phone calls through the factory PCM. 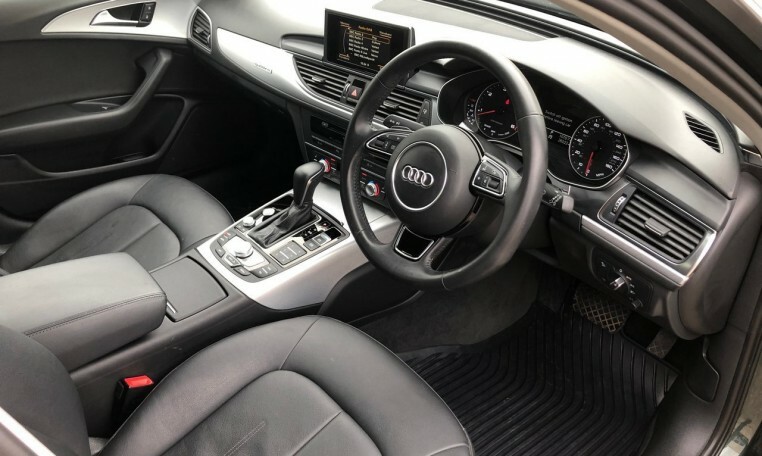 A tracker is also fitted and the car comes with the private registration plate B8 GUO included in the sale. 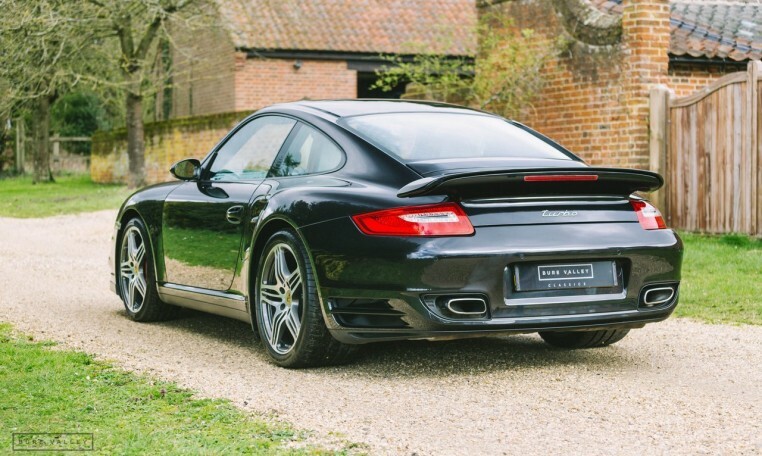 Overall a truly usable, high performance supercar in superb condition. 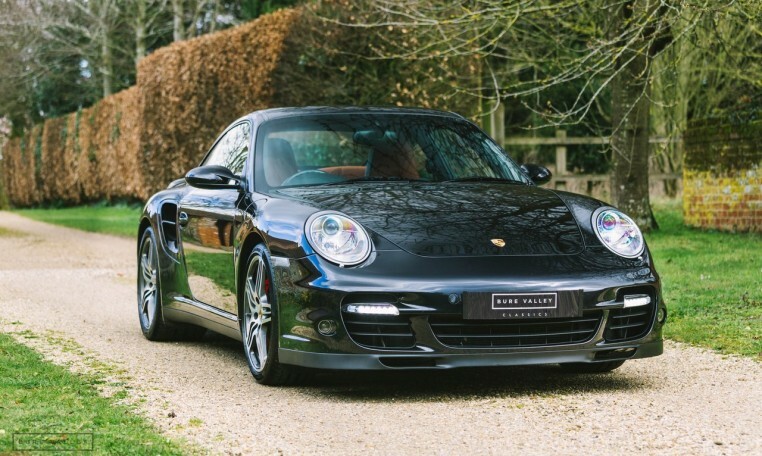 Sport Chrono Package, Porsche Active Suspension Management (PASM), Bose Sound System, Cruise Control, PCM Sat-nav, Sunroof. 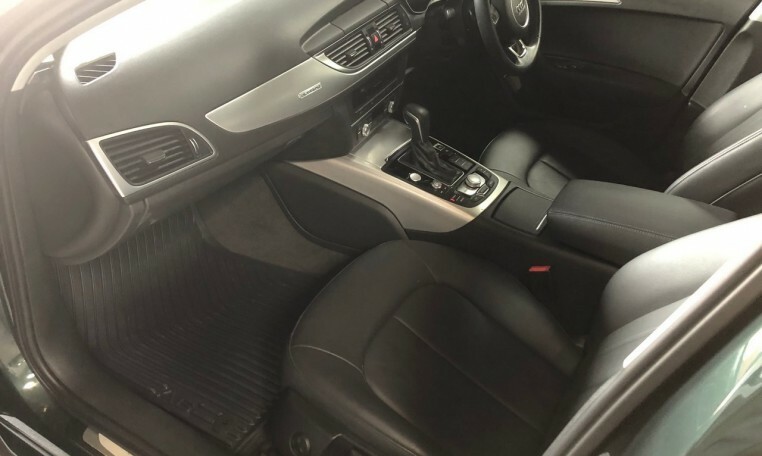 Rear park assist, PSM, Dension, Sunroof, Climate Control.